Known as the Canaries’ more preserved island, La Palma has this old town charm that is hard to resist. Tourism development, though, has its eyes here, and the crowds of tourists are getting bigger too. Thus, vacationers who seek tranquility found themselves wandering outside the bustling capital. Near the bustle but utterly unaffected of the restlessness of Santa Cruz is Breña Baja. And its doors are wide open to those who want to experience authentic La Palma. The municipality is vibrant yet classic, fun but still natural. It is the perfect spot for nature lovers who do not want to sacrifice convenience. The original inhabitants of La Palma were the Benahoaritas, also called Awaras or Auaritas. Although, as Canarian natives, they were collectively referred to as Guanches. Prior to the 1942 annexation of the archipelago, they called the island Benahoare. Before there were Breña Alta and Breña Baja, there was Breña or Las Breñas to the colonizers. And its low-lying areas were home to aboriginal communities. After the conquest, lands were distributed among the native settlers and the conquistadors. A vast part of the stretch was also turned into vineyards, and wine export became the island’s money maker. It wasn’t until the 17th century that the area was divided into two. The upper part became Breña Alta (high Breña), and the lower part became Breña Baja (Low Breña). On May 26, 1812, almost two centuries after the division, Breña Baja was declared a municipality. Also in the 19th century, the plant needed for tobacco cultivation reached the shores of La Palma. Together with proper knowledge and its fertile soil, Breña Baja entered the path to cigar fortune. And what a long and profitable relationship they had. This, too, was the case for its neighboring municipalities. Tobacco experts even claim that the best cigars not only come from Cuba but also from La Palma. La Palma, also called ‘the fair isle’ because of its marvelous terrain, has a scenic coastline. Its east coastal municipalities and seaboard are especially breathtaking. One of the most notable is Breña Baja with its divine barrios, landscapes, and waterfront. The municipality has timeless villages of colorful traditional abodes and contemporary complexes. With different hues sprinkled and sprawled on its hills, the views are even more charming. This rural paradise also has bars and restaurants, although not as profuse as that of the capital. Still, it has more than enough for a jolly good time day and night. When strolling in the hamlets of Breña Baja, do not miss San José. This little town has a rich history and also houses two beautiful churches of the same name. The old San José Church, now closed to the public, was built way back 1548 by the locals themselves. It’s has a baroque style stunning white architecture like many churches in the Canaries. The new San José Church should also not be dismissed only because of its supposed ‘youth.’ Within its sacred walls are the 16th-century carving of Santa Ana and other images of old age. Graced on most of its expanse are natural beauties great for leisure walks, hikes, and biking. The standout in its hilly landscape, though, is the 565-meter-high volcanic cone named Montaña de La Breña. It towers over Breña Baja and the neighboring municipalities of Mazo and Breña Alta. At its peak is a viewpoint with jaw-dropping vistas of the Atlantic, serene towns, and hills. Another viewpoint to visit is the one near La Palma Airport which is terrific for plane spotting. As people who are fond of airplanes would say, there are very few places for this kind of interest. One of those is Mirador del Aeropuerto de La Palma. Before heading here though, it is best to check when the airport is busiest. Usually, it is around the afternoon. Most vacationers head to the Canary Islands for its impressive beaches. And, the ones visiting Breña Baja go to Los Cancajos for that same reason too. It’s a semi-urban yet old-fashioned coastal town with modern convenience that has tourists raving about it. The oasis has many black volcanic sand beaches, but the broadest and most famous is the Playa de Los Cancajos. Its natural and artificial jetties protect the bay from rough Atlantic waves. And, because the waters are calm, it’s excellent for snorkeling and scuba diving. The sandy shore also has no problems catering to the needs of guests. There are restaurants and tapas bars near it. Should visitors want to sunbathe, there are rental sunbeds and parasols around. Other necessities like toilets, showers, and parking spaces are available as well. What’s more, it is easily accessible even to those with limited mobility. Bus line 200 goes around and stops at Santa Cruz, Mazo, San José, Fuencaliente, and Llanos every hour. On weekdays, it runs from 6:15 to 22:30, and 8:15 to 22:30 on weekends and holidays. For tourists coming from the La Palma Airport, take bus line 500 which stops at Los Cancajos. It departs twice every hour from 7:10 to 15:10 on weekdays. On weekends and holidays, it leaves once every hour from 7:40 to 22:40. About one-third of the accommodations on La Palma is in Breña Baja. Most are in Los Cancajos, but there are also plenty of options in the villages. There are hotels by the beach, hillside country homes, or even lavish apartments. With a plethora of selection, there’s undoubtedly at least one for every tourist. Only a minute walk away from Playa de Los Cancajos is the grand Hacienda San Jorge. It not only has direct access to the beach, but it is also surrounded by incredible panoramas at every turn. Within the complex are amenities tourists would love as well. There’s the massive seawater swimming pool, buffet restaurant, cocktail terrace, sauna, and gym. All of the apartments here have a balcony or a terrace. That means guests can see paradise as soon as they wake up and step outside. Each unit also has satellite TV and a kitchen with microwave and refrigerator. The heavenly H10 Taburiente Playa is only four minutes walking distance from the nearest beach. Besides the convenient location, there are fantastic amenities for guests. It has three outdoor pools and bars, a sauna, and tennis courts. After a fantastic day of sightseeing, guests can have a relaxing rest in their air-conditioned rooms. Each one also has a private balcony, so watching the sunset sounds like a great idea too. How about catching up on their favorite shows? Well, they surely can with the satellite TV in their units. Want to stay in an apartment with hotel feel and amenities? HC7 Los Molinos is one of the best options in the municipality. Set on a hillside, it has breathtaking views of both the Atlantic and Montaña La Breña. 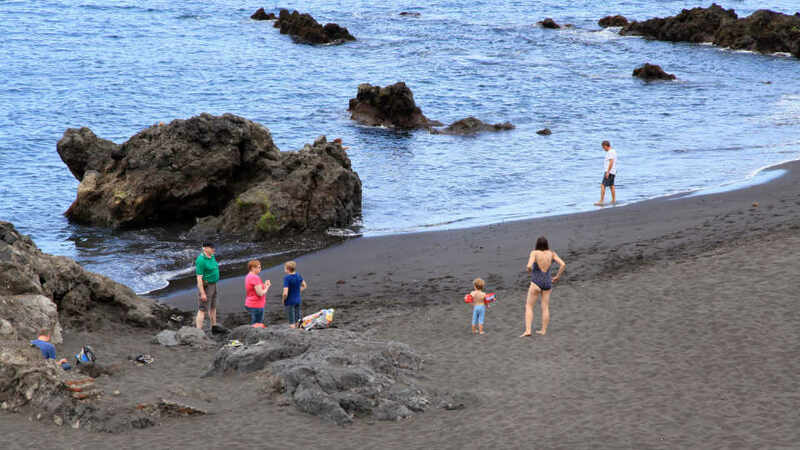 It is also only five minutes away by car from Los Cancajos beach and 10 minutes from the capital Santa Cruz de La Palma. The lovely aparthotel has a charming outdoor swimming pool surrounded by engaging vistas. Sunbathing on the poolside makes guests feel like all the natural beauties are enjoying the sun with them. All units also have their private terrace where guests can relax with privacy. The La Casa del Aguacate or Avocado House is a cozy home with a lush garden and is surrounded by scenic panoramas. Perhaps its most significant selling point is the sun terrace with barbecue facilities. Who can resist a fun backyard BBQ afternoon while appreciating to-die-for sceneries? This holiday rental has three bedrooms and a living room with a sofa bed and satellite TV. It also has a dining area and a kitchen equipped with a dishwasher, an oven, and a microwave. For a home away from home in Breña Baja, go to the lovely Avocado House. Even its name sounds good. A few days isn’t enough to try all the best restaurants in Breña Baja unless patrons do it by the hour. There’s an abundance of dining options in the municipality, especially in Los Cancajos. Whatever vacationers crave for, there’s an array of restaurants ready to satisfy. Canarians take pride in their cooking, most especially when it comes to seafood, and it shows. The beautiful plates of fish dishes are so good it is a sin to skip it. They also take ‘fresh’ to a whole new level. It’s typical for diners to see freshly caught fish brought in by the fishermen themselves. They also get to choose which to try. For the best beachfront restaurant with a ‘fish of the day’ option, march to Bar Restaurante El Pulpo. The restaurant itself may not look impressive, but the food most certainly is. It is the place for seafood extraordinaire. Starting the meal with their famous fish soup is almost a requirement when dining here. It is delicious and stirs up the excitement of what’s to come. The stars of El Pulpo are the ‘fish of the day’ and the Principe Alberto dessert. Don’t dismiss the other selections though. Their other must-tries are tapas, papas arrugadas, rock mussels, garlic prawns, and paella to name a few. Not quite by the beach but near it is El Lagar Restaurant. Diners should check the board where the fresh fish choices of the day are posted. The exotic ones are hard to pronounce. Regardless, they taste lovely. El Lagar is famous for their brochettes. Also, try their goat cheese and papas arrugadas with mojo verde, paella, gambas al ajillo (garlic prawns), mixed fish and seafood platter, and pork tenderloins with cheese nuts and sweet sauce. For dessert, the most unforgettable one is the white chocolate mousse. All tourist havens must have this — an excellent pasta and pizza place. What makes them so popular is their versatility. Classics like spaghetti bolognese and meat lovers pizza are sure crowd favorites. New varieties such as vegan and gluten-free ones are all the craze now. They can basically be mixed with anything and can be fused to any cuisine. The good news is Breña Baja is home to a couple of first-rate pasta and pizza places. Try Ristorante Sadi and their trademark of adding a local twist to celebrity dishes that diners simply love. They are oven-baked and served fast which makes the experience even better. Their other heavyweights are coconut, chickpea, and sweet potato soup; carpaccio, gratinated mussels; chicken skewers in beetroot sauce; meat dish served with a delicious cognac cream sauce, vegetables, and sliced cooked potatoes; and rabbit stew. To end the meal with imaginary fireworks, have chocolate mousse with berry coulis. For a no-risk selection of pasta and pizzas, tourists can’t go wrong with Restaurant Mi Rincon. It is Playa de Los Cancajos’ best and beachgoers are enamored even with just the kitchen aroma alone. Known for their sizable menu, they also offer Mediterranean, European, and Spanish dishes. Don’t leave without tasting their other best-sellers: spinach croquettes, fried goat cheese with blueberry sauce, the ever so famous tapas, chicken curry, calamares, octopus vinaigrette, and grilled prawns. 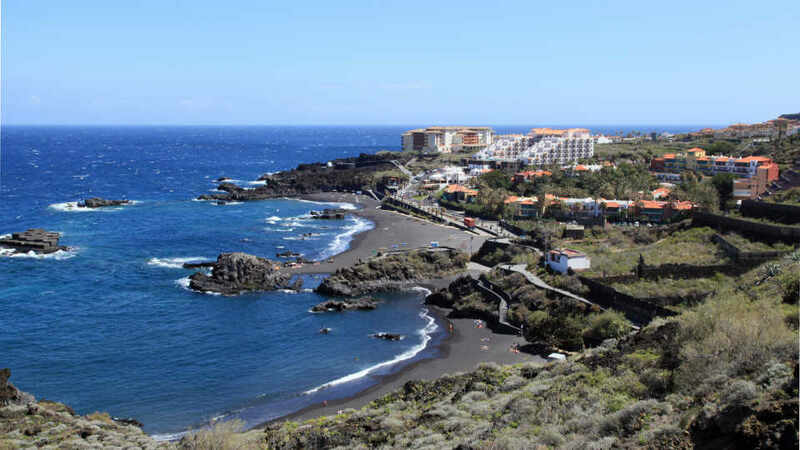 Breña Baja is one of the municipalities with most accommodations in La Palma, and it’s growing by the year. If anything, it’s clear sign that people are coming and returning. Although its tourism scene is flourishing, it hasn’t gone through a major facelift. Instead, it preserves and beautifies what it already has. The vibrant traditional dwellings stand out but also blend well with the natural surroundings. Montaña de La Breña is exceptional and stands out even amongst the many hills that surround it. The black volcanic sand of Los Cancajos beach is typical in the area, yet still a mysterious beauty. Breña Baja is a marvelous fusion of old, new, and natural. Its landscape is a weave of earth colors and vivid hues. It is an extraordinary destination and the Canary Islands’ next tourism giant.